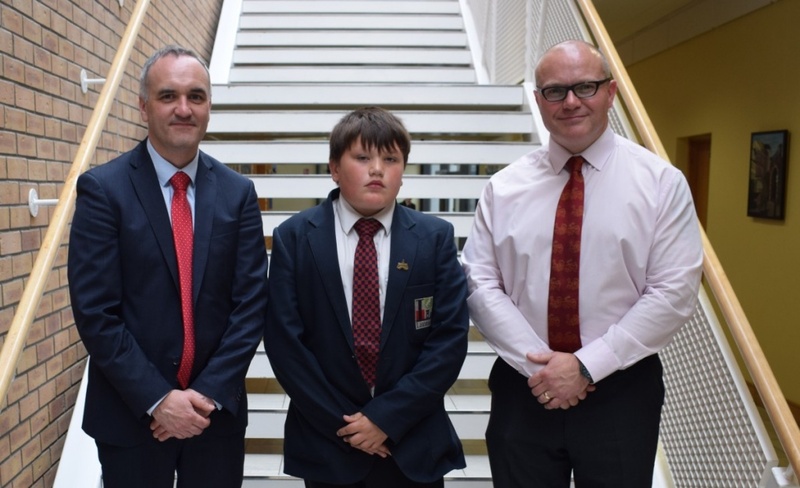 We were delighted to welcome Mr Guthrie, Principal of Bready Jubilee Primary School, into our school on Wednesday afternoon as guest speaker at our end of year Awards’ Presentation. 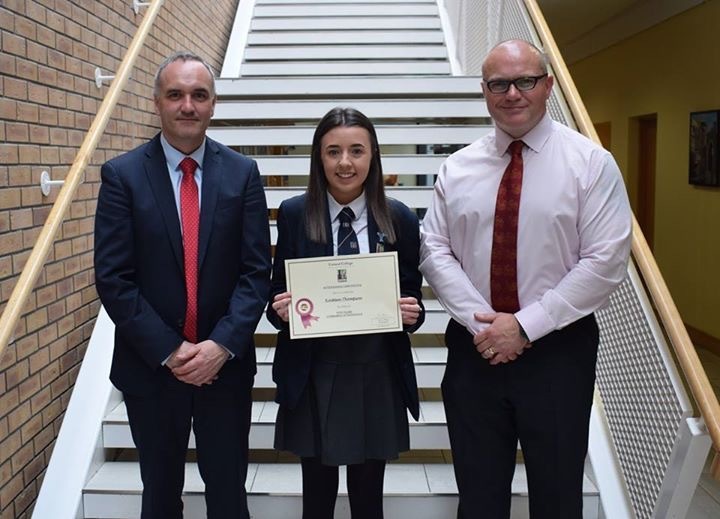 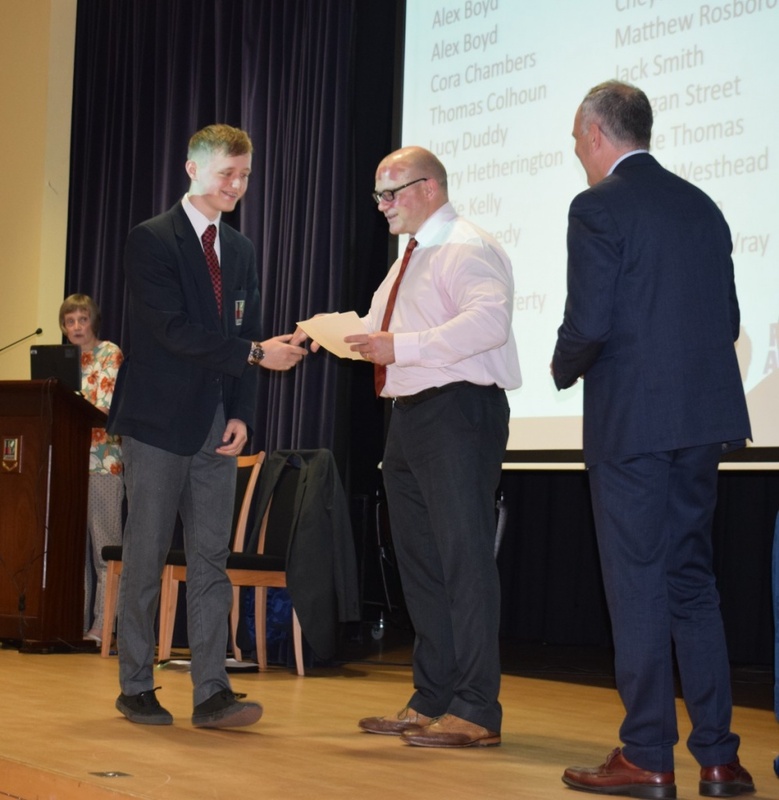 Mr Guthrie kindly accepted our invitation to attend and presented our pupils with awards to acknowledge and celebrate their full attendance, aspiration and achievement in the 2016/17 academic year. 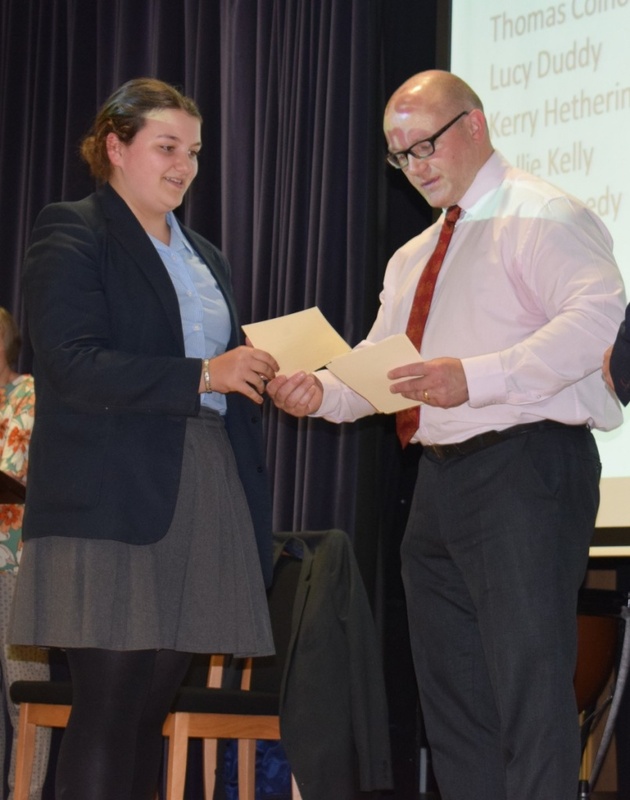 Mr Guthrie was a very inspirational guest speaker and we hope to have him back in school with us in the near future. 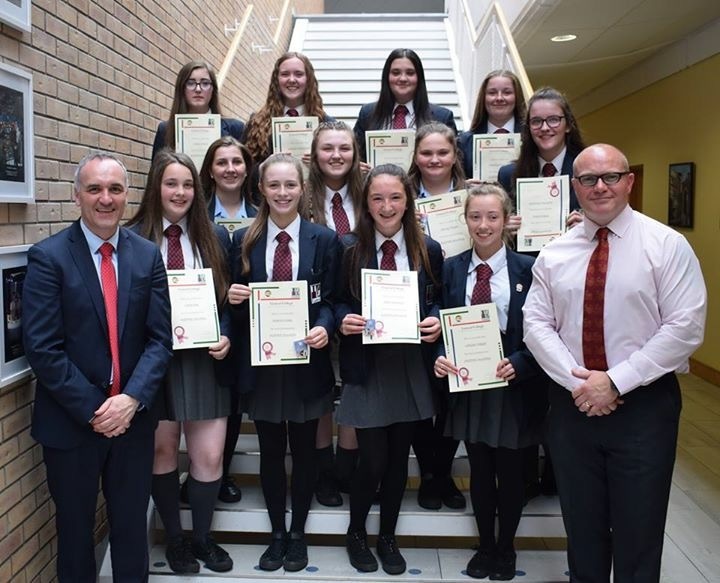 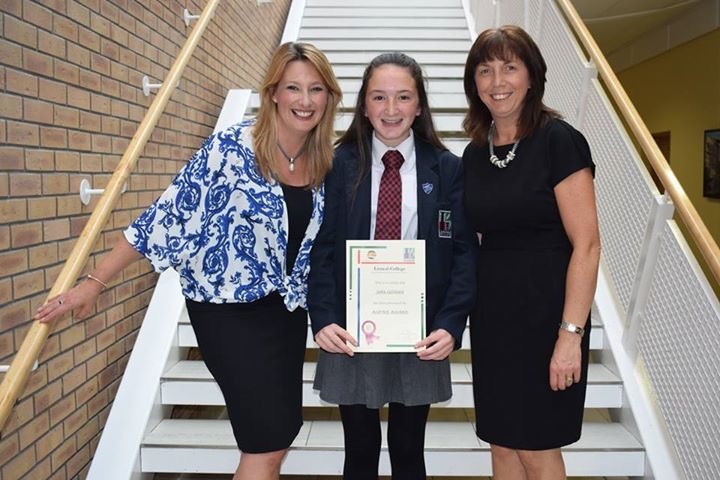 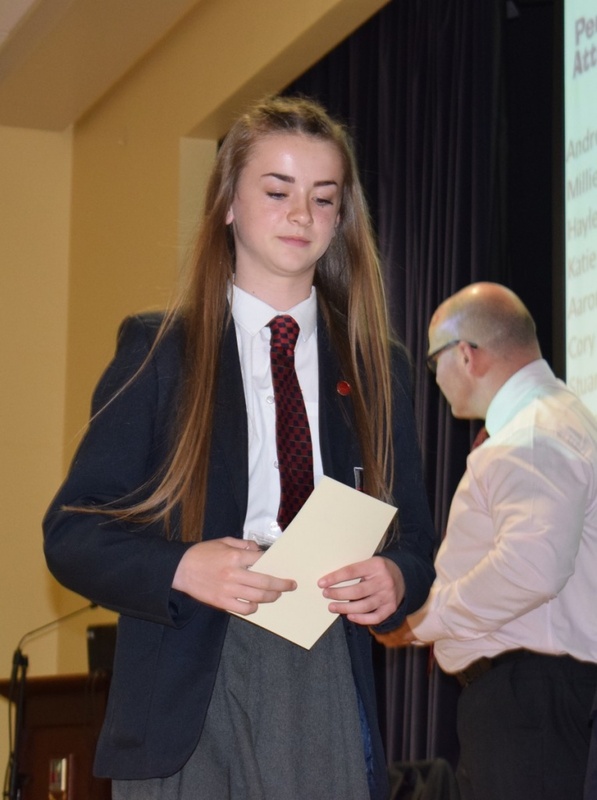 Here are a few photos of our pupils taken as they received their certificates for full attendance. 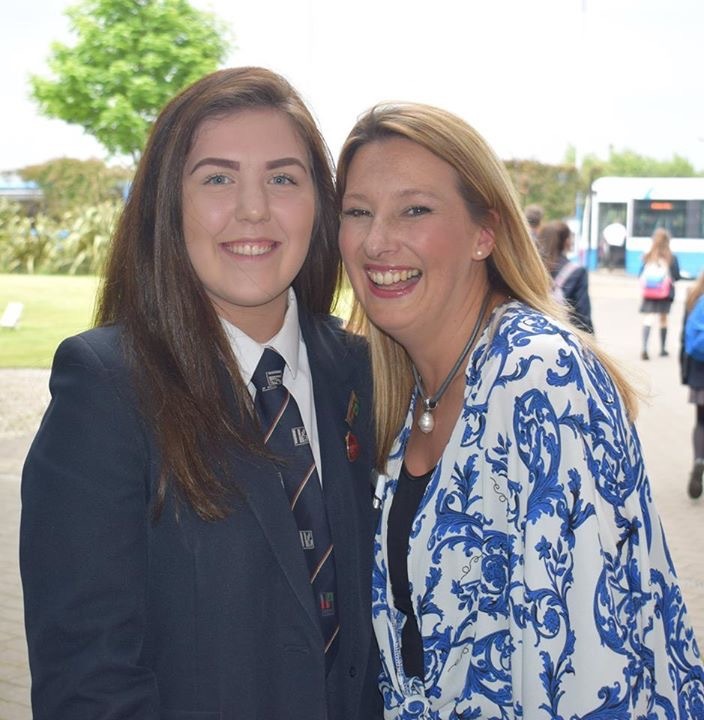 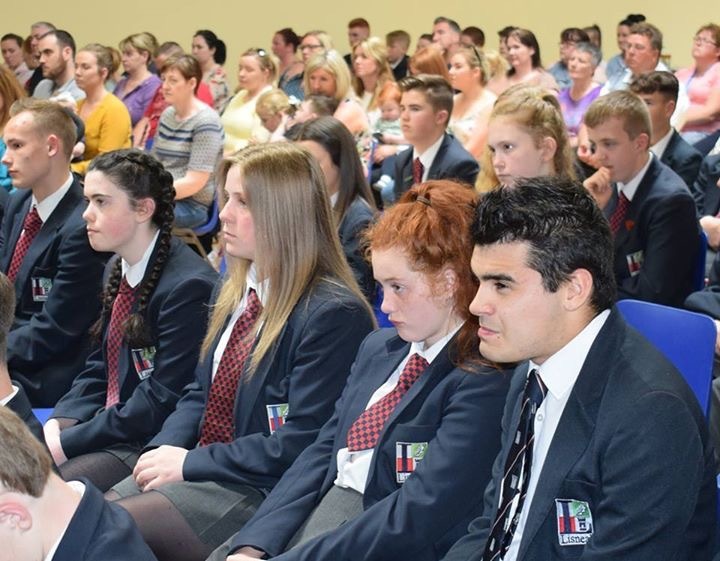 Lisneal College Core Value No: 5 is Aspiration. 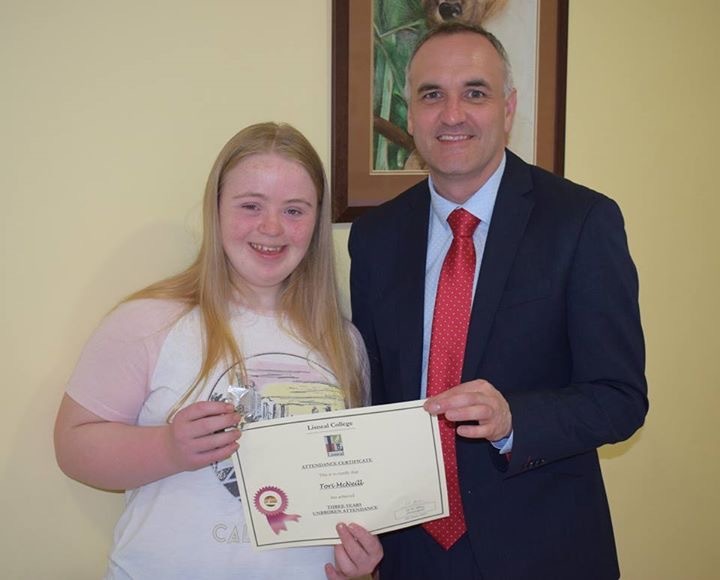 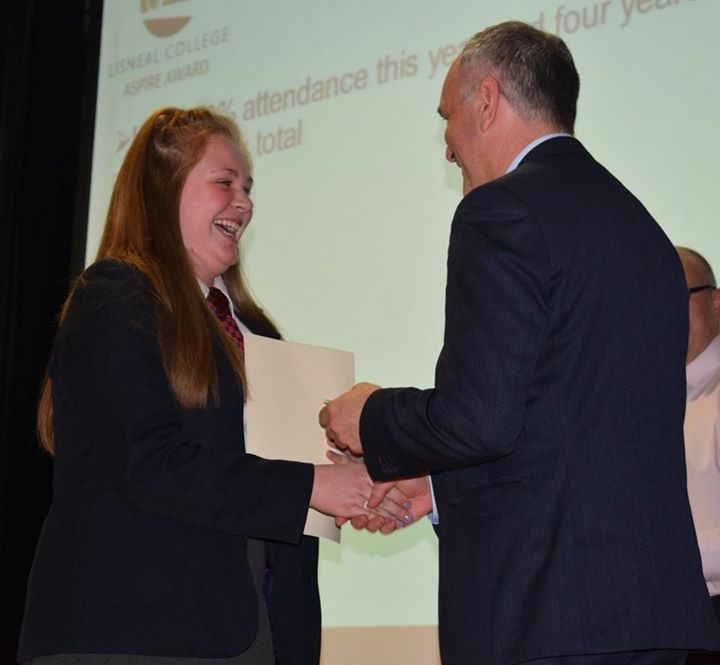 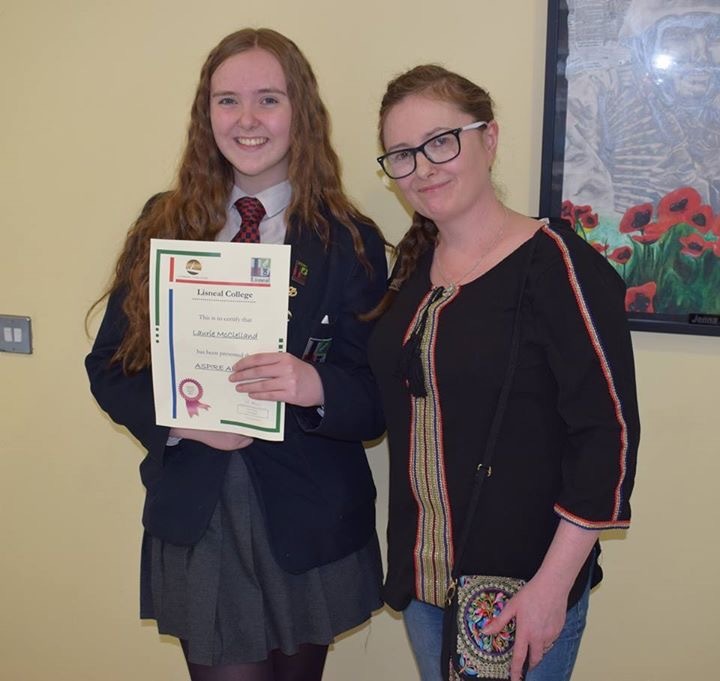 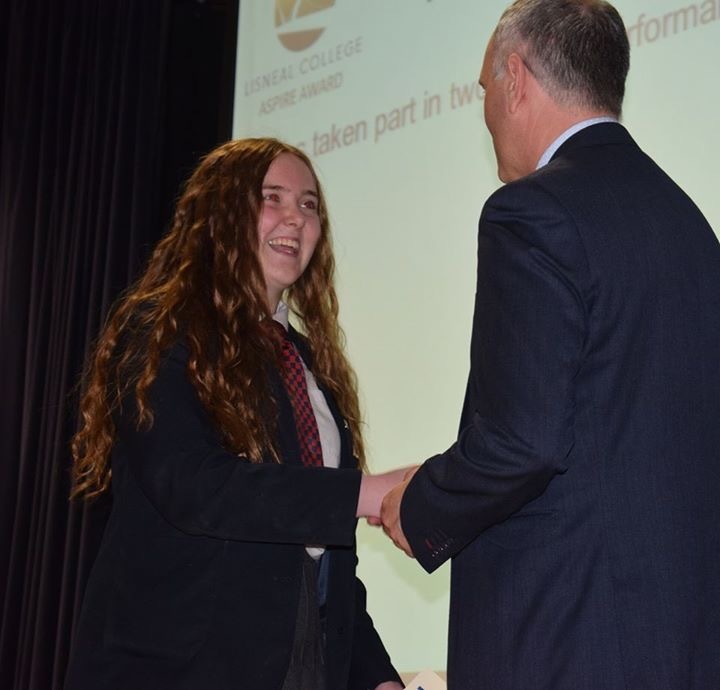 During our Awards’ Presentation 22 Yr11 pupils received their ‘Lisneal College Aspire Award’ from Mr Guthrie. 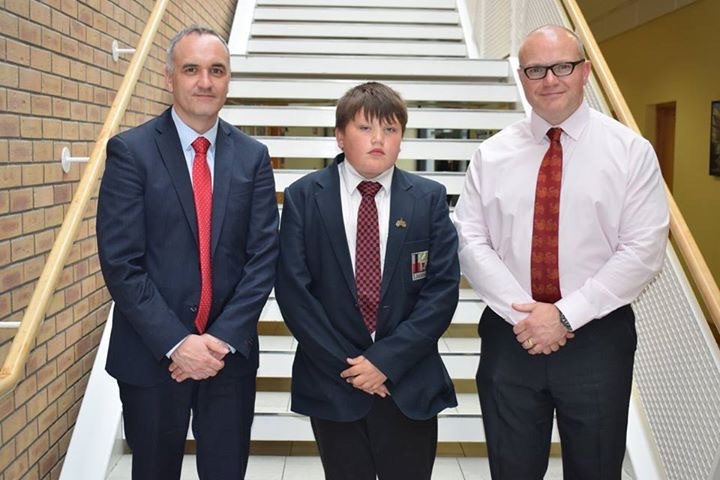 We believe these pupils personify our core value, ASPIRATION, and are terrific role models to their peers. 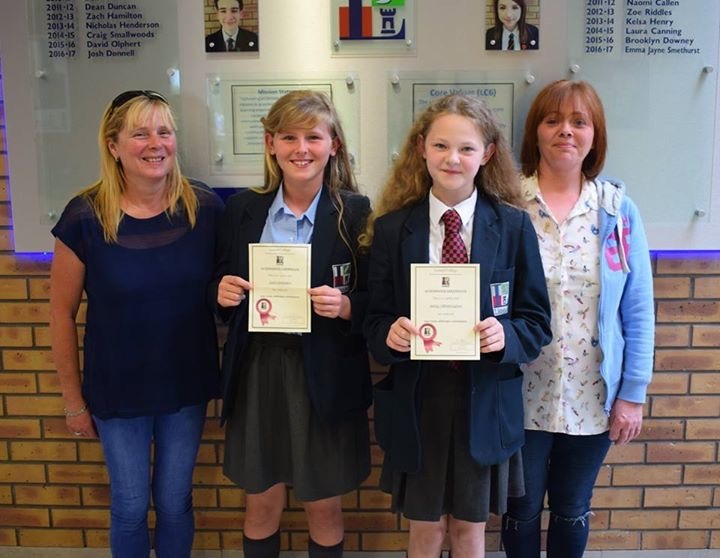 Congratulations to these award winners. 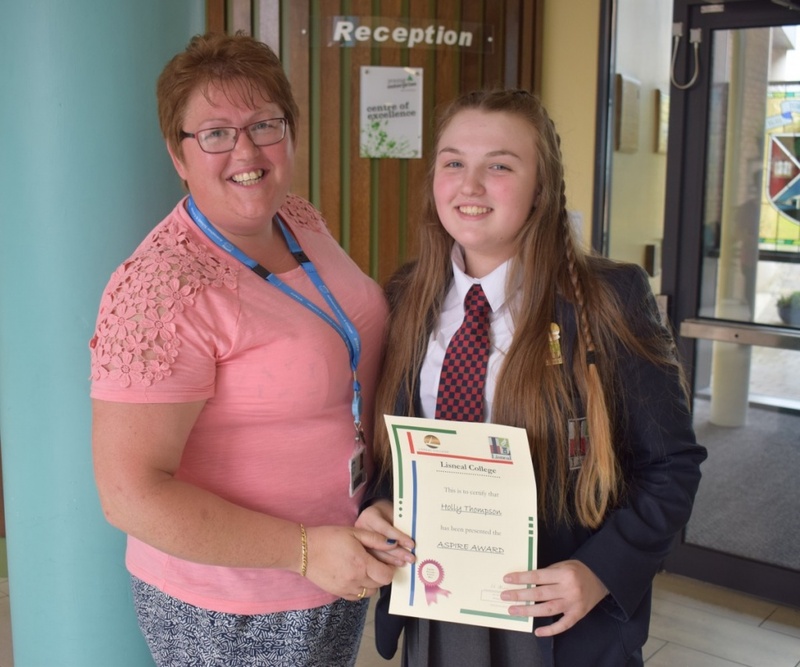 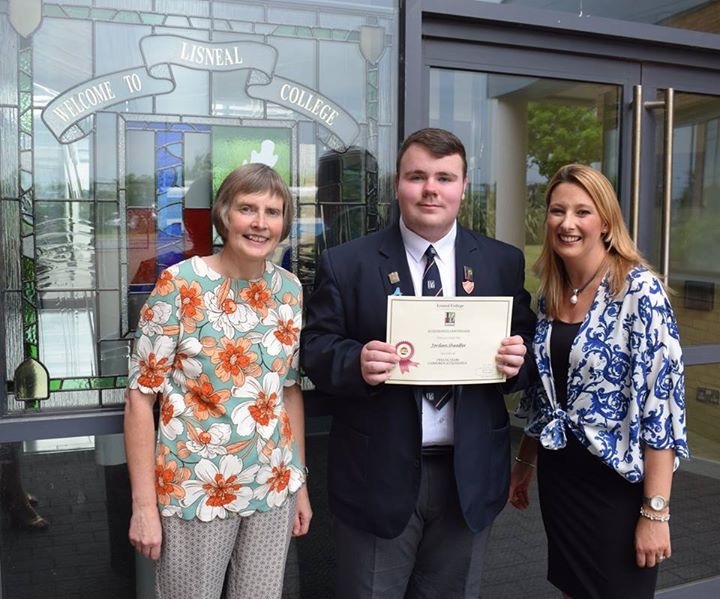 Mr Allen was delighted to present Year 8 pupil, Brad, with the first ever Lisneal College Principal’s Ambassador Award. 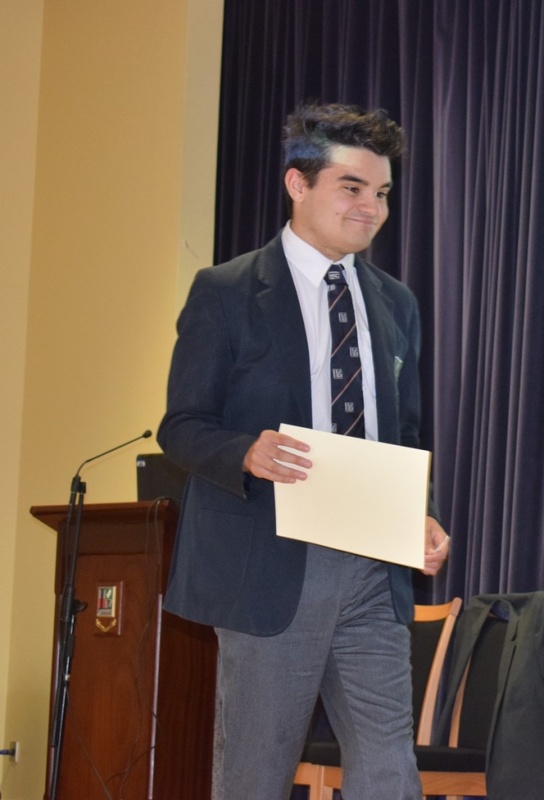 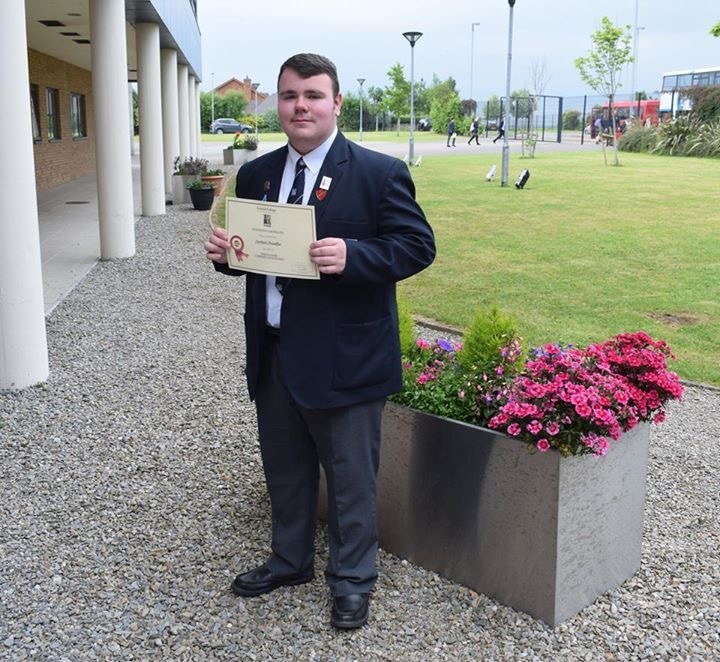 Brad received the award for his commitment to the school core values and for being a supportive friend to his peers. 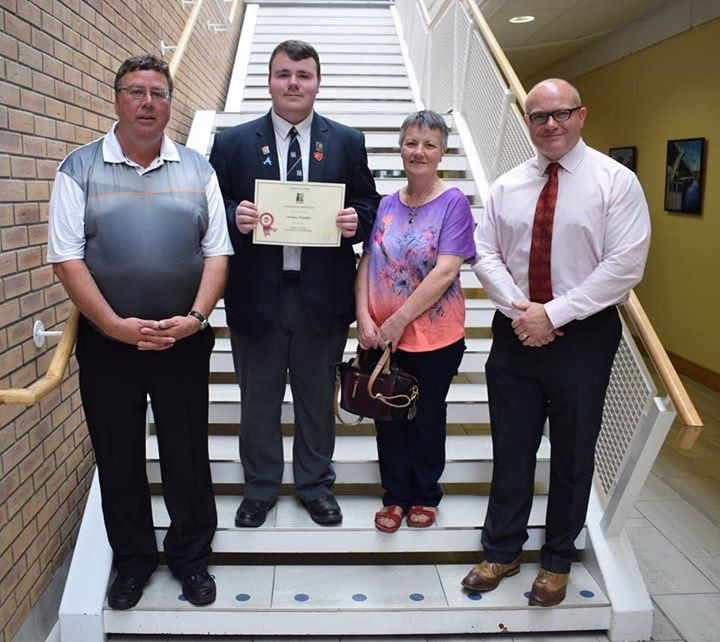 We are all very proud of Brad and Mr Guthrie was over the moon to present the certificate and badge to his former pupil.